The ‘Teach ART Learn ENGLISH’ project is implemented in cooperation with the Memorial Collection of Pavle Beljanski and English LanguageTeachers’ Association (ELTA). The idea of the project is to bring the cultural heritage preserved in the Memorial Collection of Pavle Beljanski closer to young people age 13-18 years, with the active learning of a foreign language. 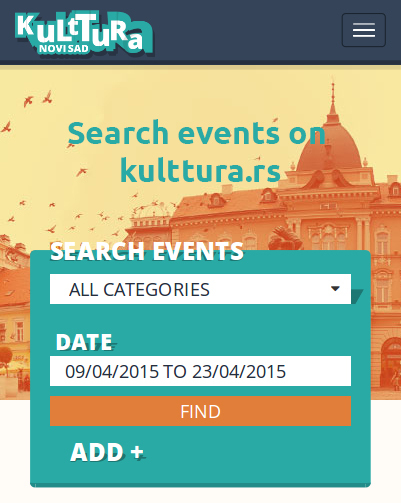 The project is implemented within the ‘Audience in Focus’ open call of the ‘Novi Sad 2021’ Foundation. The educational content is presented in a dynamic, thematically organised way, using the working material in English. Young people are encouraged to participate in public cultural life through development of creative capacities in the interpretation of cultural heritage, improvement of knowledge in this field and knowledge of English language, while innovative teaching-museum educational programmes improve communication skills between people who work in cultural institutions and museums and young people. The goal of the project is to improve cooperation between cultural institutions and associations of citizens and educational institutions in order to encourage the quality and accessibility of programmes intended for different social groups, with the focus on young people. The perception of cultural heritage is being changed through interesting activities and communication skills in the interpretation of cultural heritage in a foreign language.